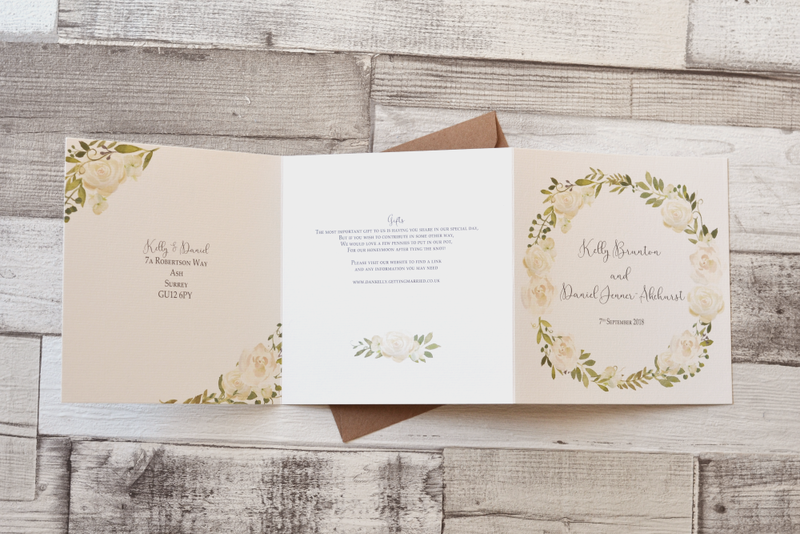 This is a great example of how you can take one of house collections and make it truly unique to you and your wedding. 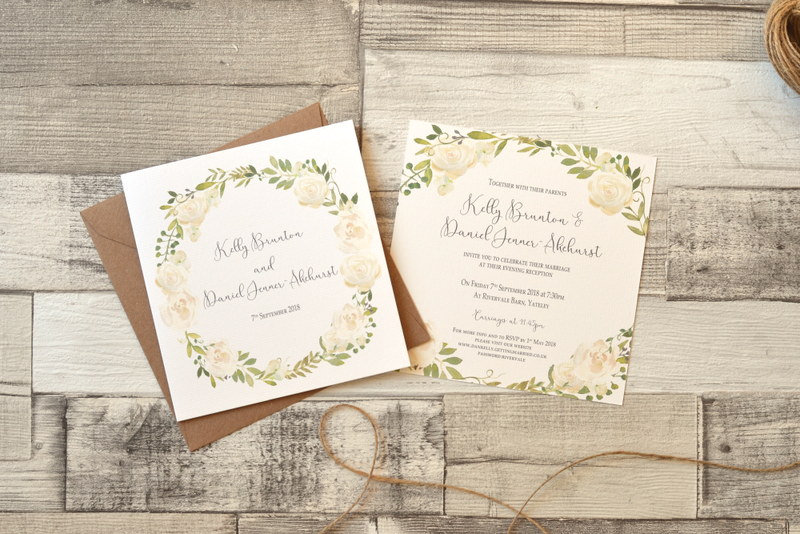 Kelly and Daniel loved our country wreath range, but wanted the design to incorporate the white roses she was having in her wedding flowers for their wedding at Rivervale Barn. 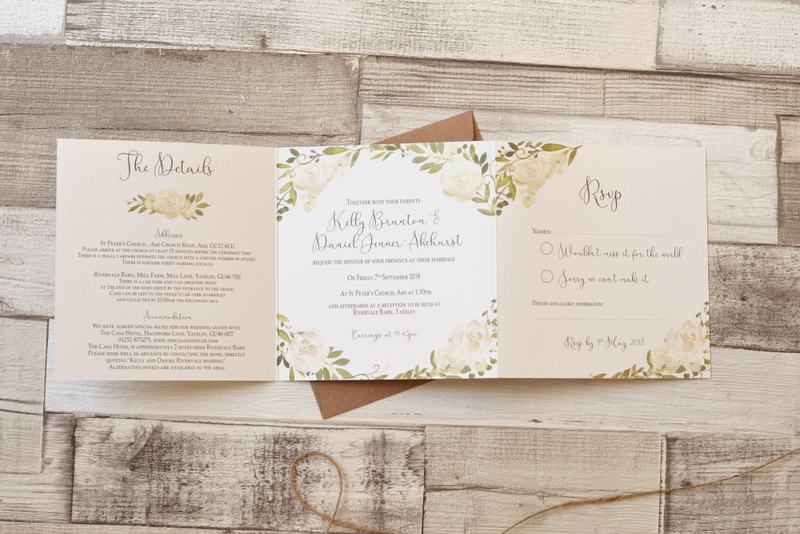 They decided to go for a trifold style for their day invitations and a double sided flat style for their evening invitations. 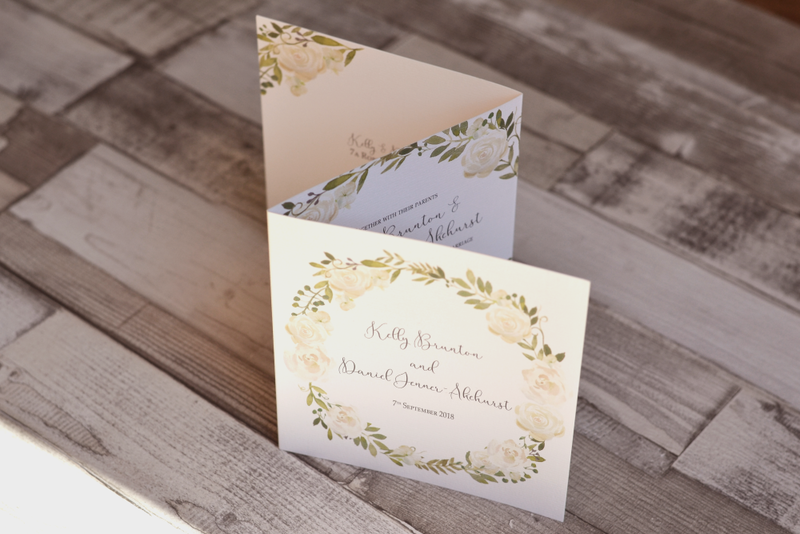 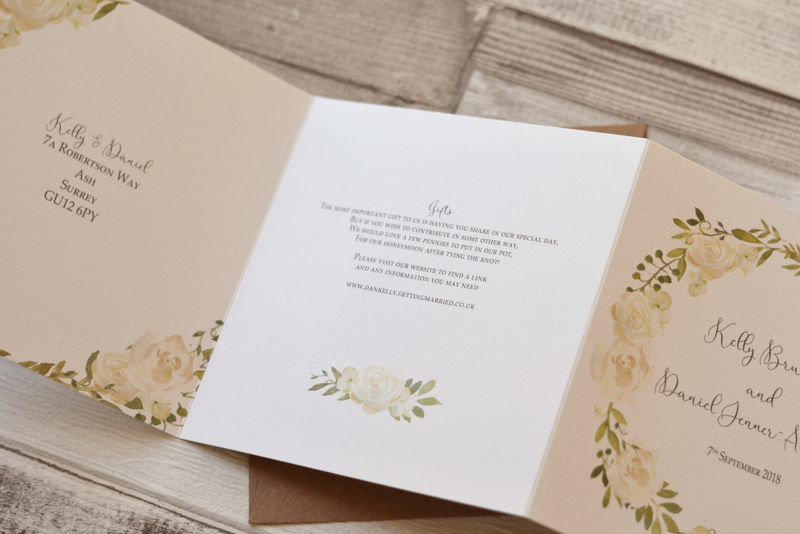 If you would like to order this range, which is available from save the dates and invitations right through to your on the day stationery, please GET IN TOUCH today.